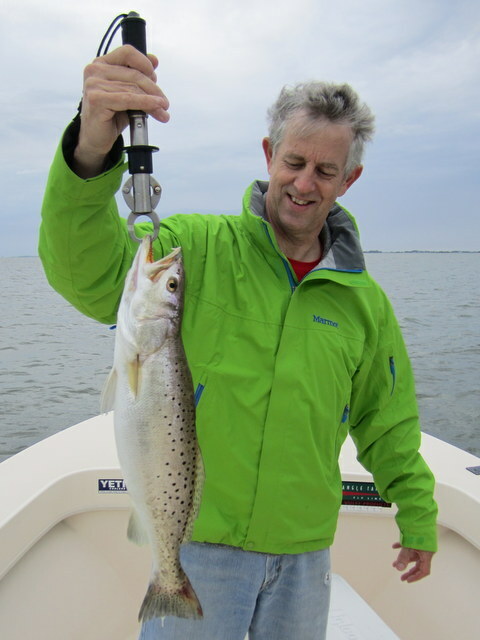 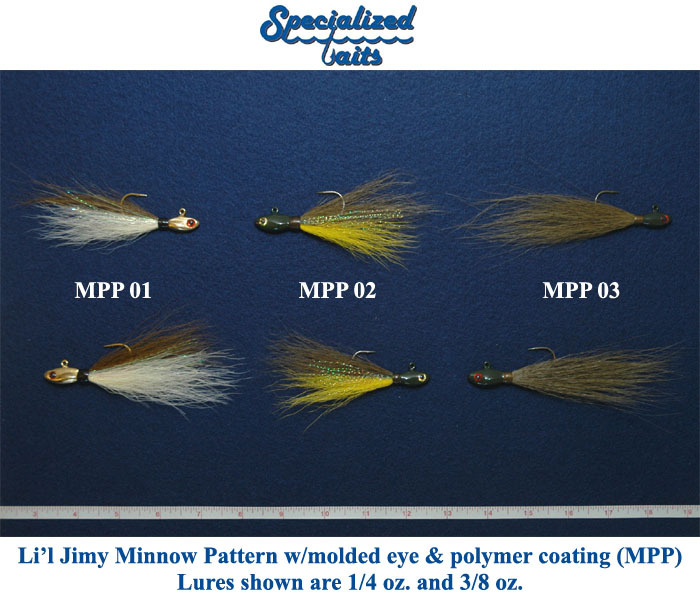 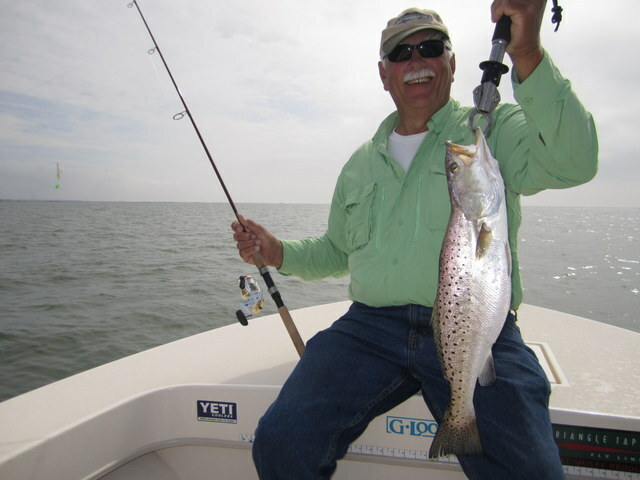 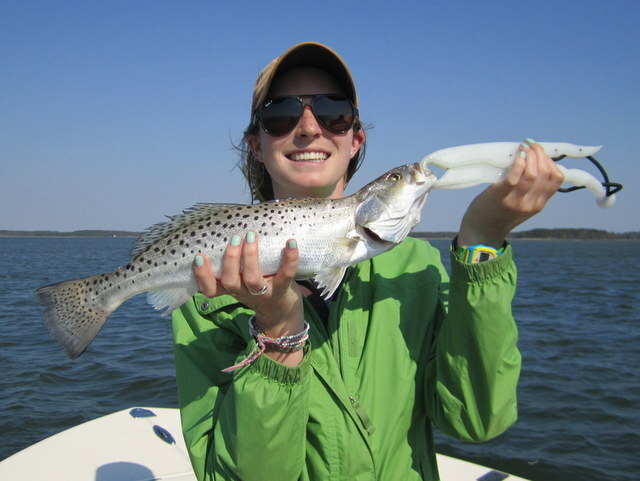 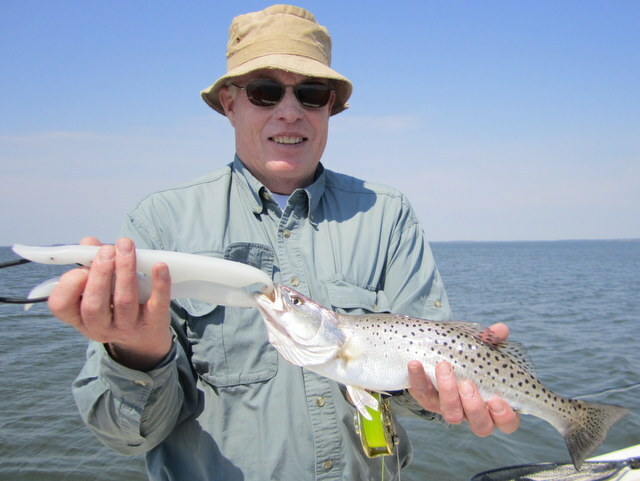 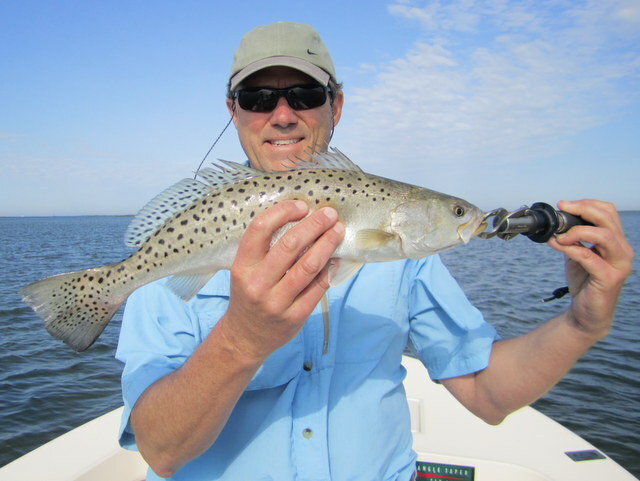 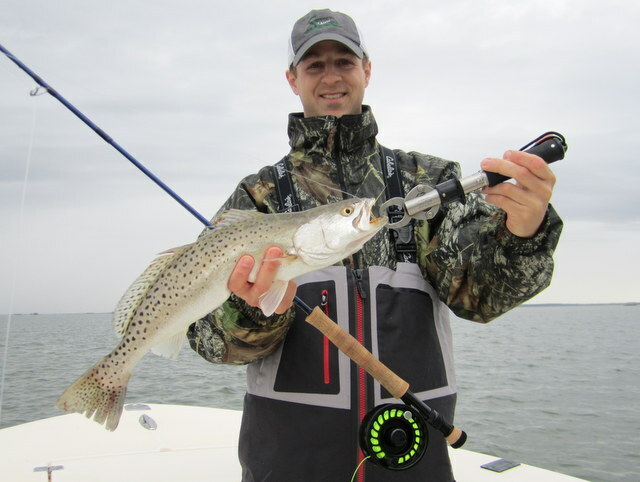 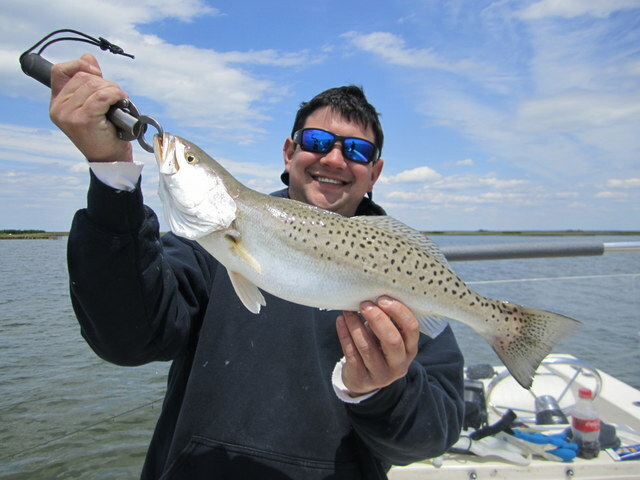 Despite a constant and relentless breeze, speckled trout catches are ahead of last season’s record pace. 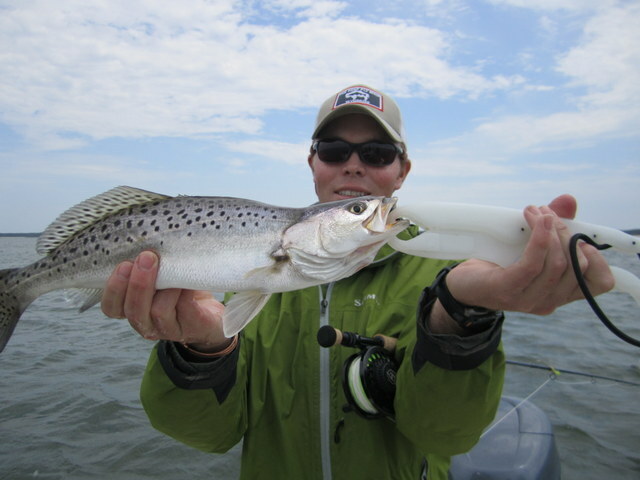 It looks to be another fantastic season for this spotted member of the drum family. 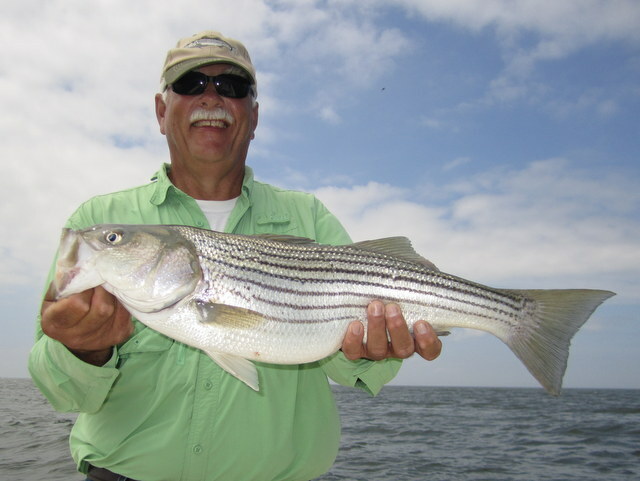 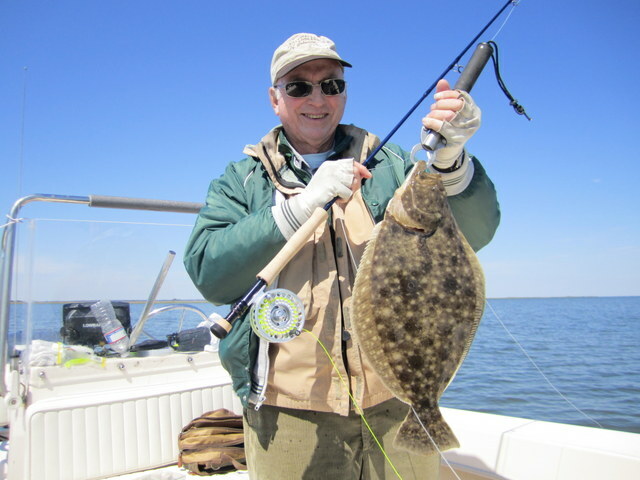 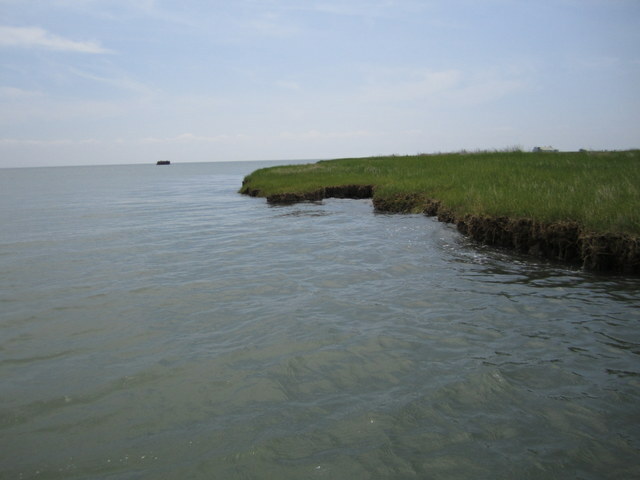 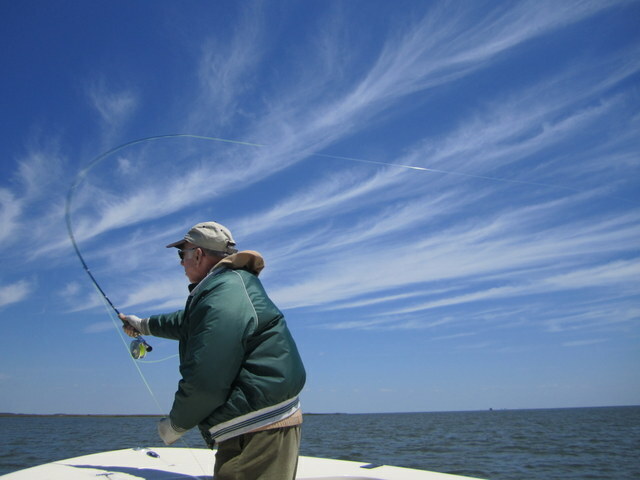 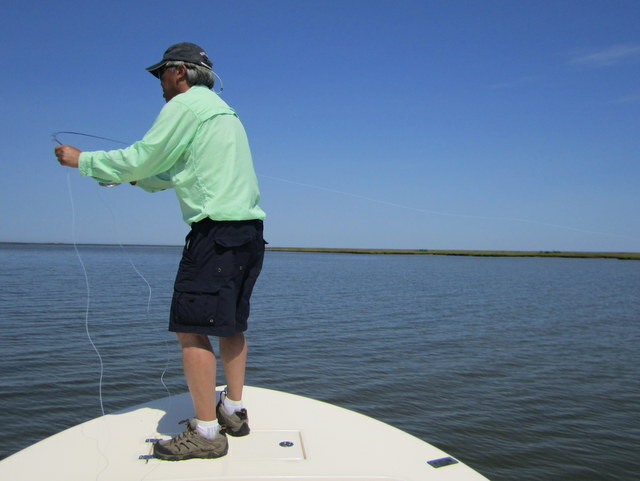 While I have yet to have any puppy drum come aboard my boat, I have heard of a few starting to be caught in Maryland’s portion of the Chesapeake Bay. 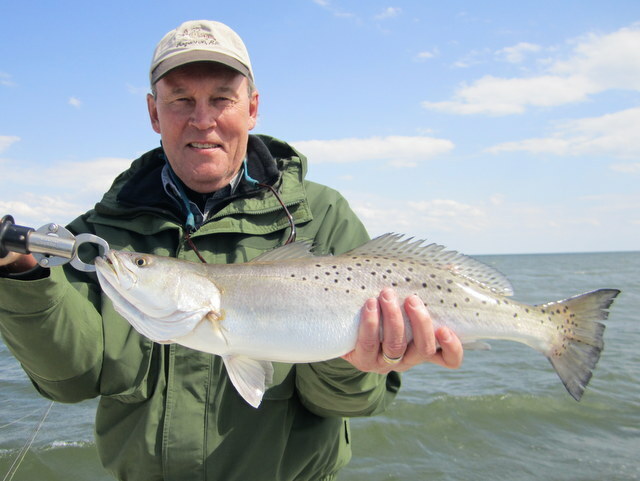 We have had the best success casting Bass Assassin 4-inch Sea Shads rigged to a 1/4 or 3/8 ounce Specialized Baits Jig head, something brand new in an already excellent line of speciality lures from creator George Lenard. 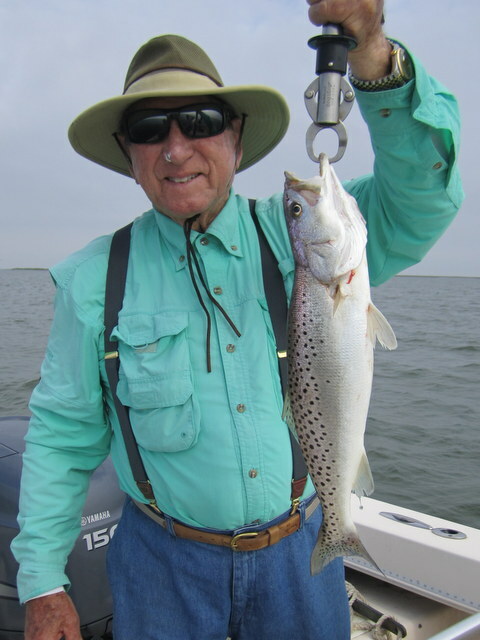 George’s old standby, the Li’l Jimy, is as effective as ever when trying to coax a fat speck out of the grass or stump-field.